Multi-color roses are truly a labor of love and dedication by excellent florists. Treat that special someone to a unique hand crafted rose bouquet they're sure to adore. 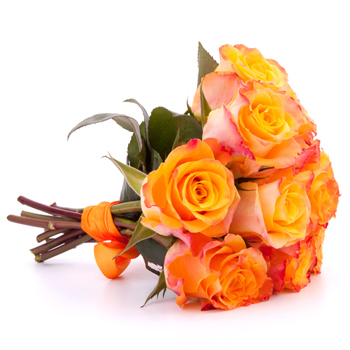 Your recipient will receive 8 elegant yellow-orange Roses to create a dramatic impression. Say I Love You, celebrate your Anniversary, or show them how much they mean with Pretty As A Peach.